Rockingham’s leading mortgage broker since 1999. Your Smartline Rockingham mortgage broker has access to over 300 different credit products and home loans from 28 different lenders. We are experts at saving you time, money and effort while ensuring that you obtain the right loan to fit your unique financial situation. Call us on (08) 9527 1800 today. Our mortgage brokers work for you rather than for a lender. Everyday we use our knowledge and experience to understand your personal situation and present you with a comparison of the most suitable loans from lenders around Australia. We also handle negotiations with the lender and most of the paperwork involved. With Smartline, you save time, legwork, stress and money. We have visited clients from Yanchep to Busselton, and inland to York, Smartline Rockingham will come to you. And, most importantly, we work closely with you to help structure your repayments to suit your budget. Whether you are looking to refinance your existing loan, move to a new home, purchase your first home or are considering an investment property Smartline Rockingham is the first place to come to thoroughly investigate your options. Smartline has won numerous awards, including Australia’s top franchise. See all of our awards here. Smartline donates $10 from every mortgage to one of many Australian charities. Currently, we have donated more than $2,000,000. Smartline Rockingham has access to 28 lenders. Laid back but efficient, helpful service. I would recommend Justin to everyone. Terry was a huge help again - used him first to refinance a loan and this time to get a new loan to purchase my current property - would highly recommend Terry and if I ever need to get out a home loan or tweak or tweak and exciting one I will be contacting him again. You make dreams come true! We are home, not just living in a house, and for that, we'll be forever thankful! Fantastic experience for my first mortgage... Terry Arnold is very knowledgeable and helped make the process a relaxing and enjoyable experience... would highly recommend to anyone... First Class?? We are very pleased with the positive outcome to our Quandary. The Advisor was very understanding and let us make a decision which took all the "grey" areas out of the equation. Very helpful and not pushy. We couldn't have asked for better service than what we received from James. This was my second time applying for a mortgage with James, and over the years I have recommended him to all my family and friends. Thanks James! As for information flow, I would have liked the opportunity to score an 11. James was amazing. We have already referred others to him. Fantastic service and great work from James, a big thank you. James made the whole process of a normally stressful experience into a pleasant and very informative time. We are both very grateful for all of his help and advice and hope to be helped by him in the future. A true professional in every aspect. After being messed around by another broker from another company for weeks, we could not have been happier with the service and professionalism we received from James. He kept us informed every step of the way and made the whole process smooth, quick and easy. Thank you so, so much and we will be recommending James to everybody! James worked in exceptionally well with my needs (being located remotely) along with finding the best loan for eligible to me with my poor credit history (ex-bankrupt). He helped me through the process of purchasing my first home & informed me ahead of time what I would need to produce for the next step so as I would be able to have the documentation ready in a timely manner. James has been very informative and has guided me through all parts of my purchase, some of which were outside of his area of responsibility, which has been great. Our advisor, James Eaves, was absolutely amazing. He really went above & beyond to help, advise & support us. I have already recommended him to friends & would have no hesitation to refer others. He is an asset to your company. James was excellent. This is the second time we have financed through him & will do again if the situation arises. He put us at ease with what we wanted, gave us excellent advise & great confidence all the way through, that what we were doing was the right thing for us, particularly as we plan towards retirement & paying our house off. After dealing with James Eaves, we would never again deal with the banks directly. With Stephen working FIFO and myself a shift worker, it is quite difficult to find time for both of us to make an appointment at the bank. Nothing is too much trouble with James and he goes that extra mile to ensure nothing but the best service. This is the second mortgage we have done with James and have already referred many of our friends on to him. Thank you. James Eaves is extremely helpful and nothing was too much bother. I have been recommending him to friends that are in need of a broker. The service provided was of the highest standard and we wouldn't hesitate to contact James again or recommend him to our family and friends. Best advice and service Ii have ever encountered. I have referred James to all my family and believe my sister in law has signed up for his help. James was very professional and very helpful through the whole experience of re-financing our home loan. Very friendly and answered any questions we had to ask him. Very pleased with him and would definitely recommend him to my family and friends. Thank you for making the re-mortgaging process easier to understand. Always available to answer any queries meet with us or collect documents. I have been affiliated with James for a number of years, firstly as a referral for my clients when I was in the real estate industry, and secondly for myself, relatives and friends. I have always found him to be approachable, pro-active and knowledgeable. He has a very friendly manner and is able to communicate effectively with people from all walks of life. I am very happy to be able to recommend him to anyone who needs help/advice with their financial requirements. James is a good guy. The Iron Man of personal mortgage advice! James made everything really easy to understand and went above and beyond to help meet our financial needs. James has been my adviser for 7 years now and he was also recommended by a friend; he has never let me down .He is always there to help and always keeping in touch with me via email. I am absolutely very happy with the service and that is the reason I keep on coming back and asking his advice. Once again we received exceptional service from James, very helpful and always keeping us up to date. I have recommended [James] to friends and they too are very happy with the service. James was totally supportive and proactive, setting everything up for us to make the transition from one bank to another. Great job. Provided the best service and gave the best advice and helped every step of the way, making it easier and an understandable experience James, in my eyes, is an asset to your company keep up the good work James, I will be back. We have used James a number of times...and feel really comfortable with him. Every time we come to the MG with a plan, James seems to come up with a way of streamlining the plan or saving our money. As a testament to how highly we regard James...we've recommended him to just about anybody who's broached the subject of mortgages with us. John & I found James to be very professional with all of our loan dealings and very informative regarding every aspect of our loan. He made the whole loan process very easy and smooth. We have and will continue to recommend James to all of our family and friends. James was always happy to help and made himself available for meetings whenever we required so that my wife and I felt like a priority. James' professional advice and ability to explain the intricacies of the home loan/ banking industry in an easy to understand way (without “dumbing it down”) made the whole process of buying a new house and refinancing pleasant for my wife and I. We have already (and will continue to do so) recommended his service to our friends and family personally and through social media. We have had the pleasure of James’ services a few years ago, the service he delivered then was fantastic and it was remarkable that he delivers a high quality service consistently. Highly commendable. Terry was always available to answer my questions. If he did not know the answer he was not afraid to ask others at Smartline for help and got back to me within the hour. Highly recommend! From our first meeting right the way through to settlement Terry has been an awesome source of information and has provided excellent assistance. He was always available to answers any questions or concerns that I may have had and guided me through each step of the process to make purchase of a new home a reality. I would have no hesitation in recommending Smartline’s products and Terry’s' services to colleagues, friends and family as he was exemplary throughout and we can’t thank him enough! What I liked the most about the service was when we came up against a brick wall in regards to finding a solution to my issues, the staff at Smartline were able to come up with an answer that more than solved my problem. Great service, I would totally recommend Justin and have in the past. Justin should be Smartline’s Advisor of the Year. Great service from Justin, would definitely recommend to family and friends. Smartline made the choice of bank and type of loan package quick and easy for me. The guesswork of what to do next was taken away and made the whole loan process a walk in the park. Justin provided a seamless service with both professionalism and friendliness, I could not be happier. Justin was brilliant. He put us at ease when we had any concerns and got the job done with a minimum of fuss. Thank you for a smooth running process. I was a first home buyer with very limited knowledge about the purchase of a property. Justin was fantastic in explaining all of the procedures, right down to helping me find a great settlement agent. I am also in the Navy and was required to be at sea for the majority of the finance period. I found Justin to be very helpful and willing to do what was best for me witch was to put me on a better home loan rate. We love our broker because we know that he is so good at what he does, that he is going to make the dream of owning our own home a reality. Good on ya Justin. Very helpful and friendly on the phone from the outset even before meeting face to face. Made what we thought would be a nervous encounter into a very friendly and greatly informative meeting with a distinct air of relaxation and informality. He is friendly and easy to talk to and gives you a range of options to suit your needs he is happy to answer questions and in my case has always given good professional advise ,I will always return to Justin at the mortgage gallery. My broker Justin was very professional and prompt with every aspect of my financing, Justin always makes me feel comfortable and that gave me the confidence that the right deal was being done for me, I would not hesitate in recommending The Mortgage gallery or Justin to anyone. Apart from: providing us with great service and handling all aspects of the loan which enabled us to continue our business activity without interuptions or frustrations. When I set out to buy my first home I was completely bewildered by the mountain of things that I needed to do. Lucky for me I wandered into Justin Smith’s office one day and he guided me right through the process from beginning to end. Even helping me with issues that, as my broker, he didn’t have to help with. I couldn’t have wished for a better broker. Cheers! Justin is very honest, helpful and friendly. He really made me feel positive about my options and thoroughly explained everything in a way I could easy understand. Always keen for a laugh. I love my broker, because he made investing in our first rental a breeze full approval from the bank within a week. Would recommend Justin’s service to anyone I know looking for a loan. Justin has been extremely helpful and understanding of my personal situation. He has kept in touch regularly to see how my situation is panning out, a great personal touch. Will be recommending Justin to anyone in need of finance. Thanks Justin. Justin was efficient, helpful & was extremely knowledgeable in regards to different lenders, loan terms, interest rates etc. Furthermore, he was understanding of my situation & found me a loan that fulfilled all my requirements. Refinancing my home was much easier thanks to Justin. I would highly recommend Justin & the Mortgage Gallery to my friends & family. Thanks Justin. Justin made time to listen to the stories behind our financial situation. And there was more; he gave an honest assessment about our chances of securing an investment property. And still more; he recommended some great tactics that we are using. We will be back for yet more! I love my broker because he makes the process very easy from start to finish always ensuring we come out on top with the best possible results. And is generally a very nice guy to deal with.Will have my business until the end. Justin has demonstrated great patience and tolerance,despite our indecisiveness! Great, honest service and information. Why I love my broker Justin: We have been seeing Justin for many years and always find him to be honest and trustworthy. He always keeps us up to date with any changes that he thinks we may be interested in. He is our number one broker. Justin explained things in such a way that I could understand them. He answered all my questions without making me feel like I was being silly. He made me feel totally relaxed about the whole procedure. My broker is excellent! He spells everything out for us so we completely understand what we are getting into, always has the time and patience for us, and best of all makes our life simple and helps us to make the right decision! Have found Justin to be upfront and honest. He has kept me informed as to what is happening. Justin Smith @ mtge gallery in Rockingham helped us to buy our 2nd investment property it was so easy and he was so helpful and professional that I always recommend him to family and friends. Justin is Jovial, Understanding, Supportive, Trustworthy, Informative and No nonsense. 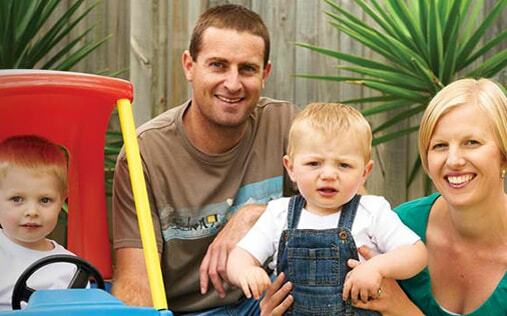 We would not have been able to get a home loan if it wasn’t for Justin. He was so helpful from the first meeting and made sure we did it correctly so the banks couldn’t say no. We were pregnant with our first baby and he was so patient and did it fast so we were able to move in and be comfortable before our baby was born. We will always refer him to EVERYONE! My broker took the stress out of buying my first home and put me at ease when I was worried that nothing seemed to be progressing. He was flexible in his availability, provided excellent service and still makes the occasional courtesy call. Justin has helped us to secure a loan during a particularly difficult time in our life. He was very patient and helpful. Justin has helped me twice now with organising a loan. He has been patient and prepared to persevere to do the very best for me and follows up to ensure I am completely satisfied. I have recommended him to friends and would always organise my future loans with him. Justin was very helpful and very friendly at finding me the best deal. I have no hesitation in recommending The Mortgage Gallery as a business partner of highest ethical and professional standard. The quality and professionalism of your team, combined with your energy, enthusiasm and commitment to this industry, have formed a very solid platform for success. It is a pleasure to be associated with such an experienced and dedicated team of people and we look forward to continuing our professional association. 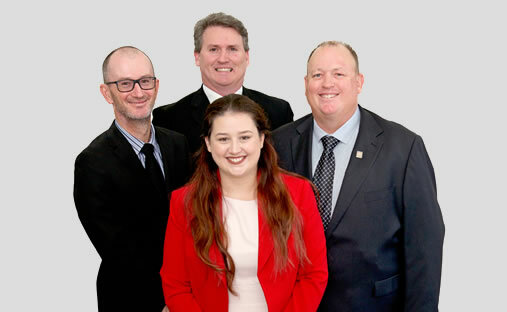 The Mortgage Gallery has earned, and deserves, its credentials as a strong, established business, which is one of the leading forces in the industry with the high standards of excellence, professionalism and customer service that as a leading bank with a strong tradition of trust in the Australian community we require.